The Rock Solid Dual Ball Joint lets you connect accessories with ease. Mount any 5/8” (16mm) Baby compatible tools with the Dual Ball Joint & Tether Tools Rock Solid Master Clamp. The Dual Ball Joint is compatible with many Tether Tools mounts and brackets for tablets, laptops, cameras, lights, etc. to hold gear up to 12.5 lbs (5.6kg). 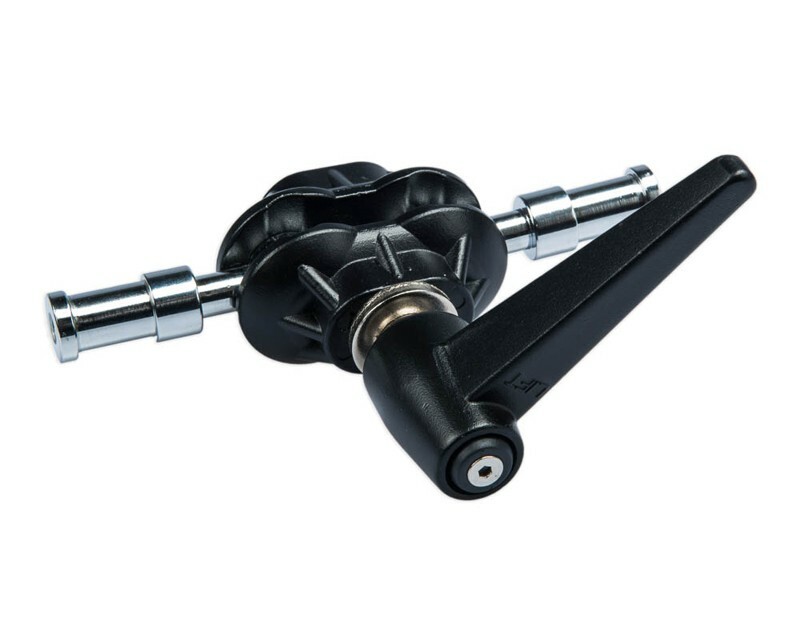 The all metal ball joint has a center ratchet handle that loosens both 5/8” (16mm) Baby studs for complete articulation to position mounted gear in the optimal direction and angle. Once the handle is tightened, all parts lock, positioning your gear in the exact desired location. Complete articulation to position in any direction or angle. One stud has a ¼”-20 thread and the other has a 3/8”-16 thread for additional mounting options.